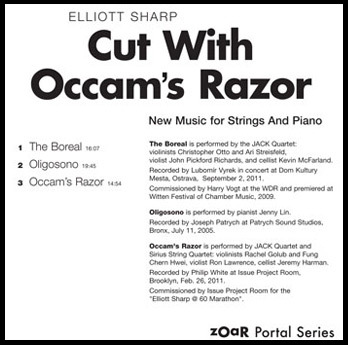 Oligosono is a 20-minute piece for solo piano composed by Sharp for Jenny Lin in 2004 that makes use of many of the personal extended techniques he developed on guitar but here translated to the keyboard instrument. Oligosono generates sounds not usually heard coming from a piano in a virtuosic tour-de-force that explores many sonic terrains. Studio recording.